…but what was happening Stateside? You had the four mainstays of synth production Moog, Sequential Circuits, ARP and Oberheim but where were the homegrown acts using and embracing this equipment and taking influence from Europe? With the exception of DEVO and possibly Suicide, US electronic music never really made it over to this side of the pond. And despite these acts using keyboards, they were never purely electronic artists, the former evolving from punk roots and the latter using Farfisa organ sounds before embracing synthesizers later. Despite slight ripples caused by OUR DAUGHTERS WEDDING’ with their seminal ‘Lawnchairs’, underground US acts such as THE UNITS, LOS MICROWAVES, SPOONS and INFORMATION SOCIETY were destined to remain that way…underground. WXDR/WDUV College DJ and underground musician at the time Claude Stanton Willey believes that the “U.S. synth music scene never really took off because it was never really perceived as a worthy competitor in the quest for pop chart success. LA bands like SSQ and BERLIN, and even ODW from San Francisco, were only aping what they heard from Britain and I think listeners understood that”. He also goes on to observe that “the record-buying public perceived many synth acts as androgynous weirdos or as art school non-musicians more interested in making a statement than acquiring ‘serious’ musical skill”. Certainly in the UK, we appeared to be a lot more forgiving when it came to taking musicians who had a penchant for make-up, kilts and frilly shirts much more seriously! It was only when DEPECHE MODE broke the territory with help from Sire Records’ Seymour Stein a few years later (as documented in DA Pennebaker’s tour film ‘101’), that it appeared that a band with synthesizers and without a drummer could be accepted in a live stadium environment alongside acts such as Van Halen and Bruce Springsteen. But even then Claude Stanton Willey still saw the band as being “a kind of experimental pop” and noting that “mainstream radio dared not touch them until ‘Violator’ came out”. Even once the synthpop floodgates opened over in the UK, electronic single hits from North American acts were few and far between (tracks like ‘The Safety Dance’ by MEN WITHOUT HATS and ‘Obsession’ by ANIMOTION were generally viewed as novelty records). A few years later, there was a second wave of underground US acts including MINISTRY and SKINNY PUPPY, but like their earlier forerunners, even these bands took their influence from the UK experimental acts such as HULA, PoORTION CONTROL and CABARET VOLTAIRE. It took the rise of house music and the birth of Detroit techno to truly start forging some sort of electronic musical identity. In the mid 90s, America welcomed another influx of UK music, this time it was the Big Beat genre (prematurely labelled as ‘the electronica revolution’) with artists such as THE PRODIGY, CHEMICAL BROTHERS and FATBOY SLIM; but again with the exception of artists such as THE CRYSTAL METHOD and to a certain degree MOBY, widespread homegrown electronic music was thin on the ground. Fast forward to 2013 and now the US is embracing electronic music with the letters EDM (Electronic Dance Music) being on the lips of many, to the point where former Nu-Metal act KORN turned their last album ‘The Path Of Totality’ over to a group of the latest dubstep producers to give it a radical overhaul and in the process helped rescue their flagging profile. Even hip-hop and R’n’B acts have accepted synths to the point where what were originally seen as genre mash-ups of dance and rap are now entirely commonplace with many commercial tracks featuring cheesy, syncopated Euro-synth stabs. So what has caused this stellar shift in popularity of the genre and also for it to become so popular over here too? “Crossover” seems to be the key word, with EDM appealing to a huge range of demographics with the harder-edged tracks pleasing both clubbers and metal fans while the straighter electronic tracks are popular with those into dance and electronica. The music has also arguably helped stimulate clubland and attracted punters to club venues which in the past would have been mainstays for underground music fans only. Down the years, many electronic music fans would keep half an eye on the clubs for certain tracks and sounds that “pushed the right buttons” (sorry, terrible pun); acts such as PAUL VAN DYK’s ‘For An Angel’, HARDFLOOR’s ‘Acperience’, JAM & SPOON’s ‘The Age Of Love’ and Ferry Corsten (and his many alter-egos) would have crossover appeal to those into synth-based music. Putting acts into an EDM box and even covering the genre in 2000 words is a pretty impossible / pointless task as it would be equivalent to writing a piece on, say rock music…other genres have different subdivisions and offshoots and to be honest, the only thing linking EDM artists and music is the fact that it tends to be played in clubs and features primarily electronic elements, thus rendering it a really lazy genre categorization! What has also helped fuel the fire of the scene is that it has become apparent to promoters that club-driven EDM if organized properly, can become a big money-generator. Ticket sales to last year’s Electric Daisy dance festival completely outstripped those three fold for the indie-centred Coachella event. Also the Ultra festival has grown in popularity since its inception 14 years ago, hosting a record number of 165,000 people last year. Also take into account that EDM DJs can potentially play longer than most bands, some up to 4 hours in comparison to a typical 45 minute live set and the numbers start to add up. As a broad generalization, EDM covers a multitude of styles from Dubstep to House to Electro with SKRILLEX becoming the posterboy of the genre; his tracks, although superbly produced, often tend to rely on a predictable shock and awe approach of huge bitcrushed vowel-based bass and drum drops which have had a tendency to become a bit predictable – whereas there are other acts which take a more subtle, varied and (sometimes) listenable approach. Where EDM gets more interesting is with acts such as DEADMAU5, INFECTED MUSHROOM, KNIFE PARTY and PORTER ROBINSON. With each progressive album, DEADMAU5 (AKA Joel Zimmerman) becomes more accessible and with his latest release ‘> album title goes here < <‘, he puts his envious collection of Doepfer modular synths to good use on the Close Encounters inspired ‘Closer’ and ‘The Veldt’. ‘The Veldt’, whose lyrics were inspired by the sci-fi legend Ray Bradbury’s short story of the same name – documents a future modern family moving into a fully automated house which has a state of the art nursery for their kids – as time moves on, the parents can’t work out why the thought-activated nursery walls continually project images of an African-style wilderness with prowling lions eating an unknown prey, until it becomes clear that prey (thanks to their children’s thoughts) is in fact them – the lyrics from the song echo many of the features of the story from the “Happylife” home through to the “Is it real or is it a dream, can you believe in machines?”. The music itself contrasts quite starkly with the foreboding content of the Bradbury story with its euphoric, pulsating, layered sawtooth synths cycling around the chord progression; and whilst a cursory listen to the track would see it as painting an utopian picture of a technology-driven future with it’s “world that the children made” hook – the real story is something a whole lot more darker. 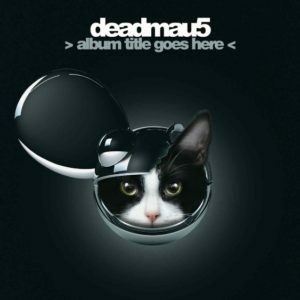 The pivotal DEADMAU5 track is ‘Strobe’, 10 minutes of electronica with a symphonic three minute intro which builds up layers of electronic pads, alluding to the main hook before the signature riff eases in and gradually speeds up – arguably one of the finest pieces of pure instrumental electronic music released over the last 10 years, it would be a travesty to dismiss tracks such as this as “just a dance track made by a guy in a funny mouse mask”. PORTER ROBINSON, still in his early 20s, bridges the gap between SKRILLEX and DEADMAU5, counterpointing the melodic content of the latter with the introduction of some of the more edgier sounds and glitchiness of the former. 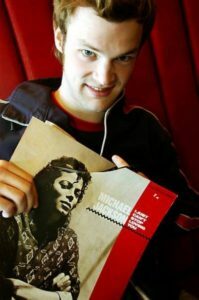 It’s interesting listening to tracks such as his ‘Spitfire’ and playing spot the influence – the track manages to shoehorn in several different reference points from an out and out classical chord progression with slow attack MOBY-esque ‘Porcelain’ string parts through to a hypnotic 8-step TANGERINE DREAM-style echoed sequencer line which appears twice in the track. What also impresses is the use of dynamics in the second drop where a beautifully sensitive glockenspiel part rides over the top of the strings and sequencer lines before the main bass and drop pattern kick back in again. Other PORTER ROBINSON tracks worth seeking out are ‘Language’ and ‘Unison’ which both showcase glitchy, but melodic synths which would definitely appeal to fans of UK’s REX THE DOG. 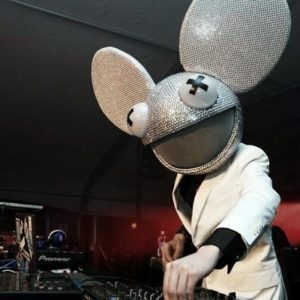 Both DEADMAU5 and PORTER ROBINSON are homegrown US acts but there are others making waves that are from other territories. Infected Mushroom have been around for a long time – originating in Israel as a Psy/Goan trance act, but gradually mutating into a fully fledged EDM act. 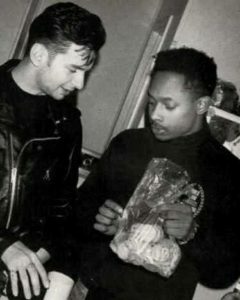 They openly cite DEPECHE MODE as an influence, especially on the ‘IM The Supervisor’ and ‘Legend Of The Black Shawarma’ albums; the track ‘Special Place’ (from the former) really highlights their eclectic nature, encompassing both dance music with epic breakdowns/drum rolls and 4/4 kick drums but around the 3 minute mark, breaks into a YAZOO-style bassline before the introduction of the main vocal hook in the song. Later tracks such as stand-alone single ‘Pink Nightmares’ and ‘Never Mind’ from their last album ‘Army Of Mushrooms’ showcase an eclectic mix of electronica, trance and EDM which despite being edgy, never stray too far from their melodic roots. Australia’s KNIFE PARTY rose from the ashes of mainstream arena giants PENDULUM, with founder members Rob Swire and Gareth McGrillen eschewing the faster tempo D’n’B leanings of the former to embrace both 4/4 electronics and dubstep elements which, like Porter Robinson, take the SKRILLEX template and re-mould it into a slightly more melodic and varied format. Up-and-coming acts to keep an eye on include Norway’s TODD TERJE whose more laid-back approach to EDM is clear on his EP ‘It’s The Arps’ – it takes its cues from everything including YELLOW MAGIC ORCHESTRA with the track ‘Inspector Norse’ and TANGERINE DREAM with ‘Swing Star Part 1’. Also worthy of a listen is young French artist MADEON, integrating more vintage dance synths into his work, with tracks such as ‘Icarus’ and ‘Finale’ being able to sound both retro and modern at the same time. So what lies in store for the future for EDM? At present, there is plenty of controversy over the genre with articles giving their reasoning for the meteoric rise of EDM and stating that its the lowest common denominator music within the scene that is making it big. But most of these seem to ignore the fact that much of the music is superbly produced and probably deserves a wider audience which might be put off by the association with clubland and a teen-targetted demographic. One musician who has stepped into the argument is Ed Simons of THE CHEMICAL BROTHERS who recently engaged in a Twitter-fuelled slanging match with EDM DJ Tommie Sunshine over the merits of SWEDISH HOUSE MAFIA’s ‘Don’t You Worry Child’ describing it as “appalling”. The other danger is that what happened to UK clubbing with its whole Superstar DJ culture could eventually happen for EDM – the UK scene eventually imploded, causing the closure of several super clubs because of the greed of big name DJs charging astronomical fees for sets. On Millennium Eve, Pete Tong was rumoured to have made £125,000 for his appearances, whilst Norman “Fatboy Slim” Cook pocketed an astonishing £140,000 for his DJ sets. Although club owners and promoters were seemingly happy to pay these exorbitant fees, the venues themselves were often half empty – the knock-on effect of entrance fees often hitting the £100 mark causing the clubbers to vote with their feet.